For years Norton has been synonymous with security, and aside from a slight name change, Norton Security 2019 continues its fine tradition of offering comprehensive protection for PCs worldwide. 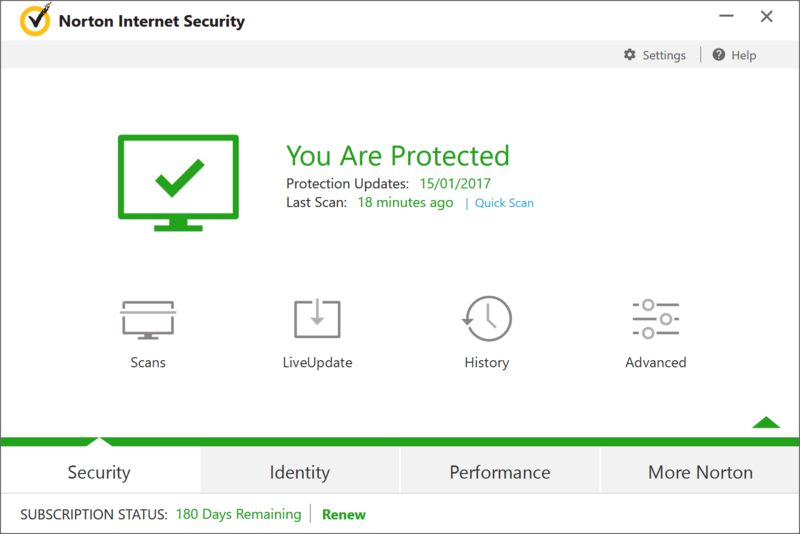 Norton Security Deluxe also provides a spam filter, password manager/form filler, network monitor, startup program manager, bootable repair disc option, performance-related tools and more. What’s new in version 2019? The most obvious change is an improved user interface, updated to blend in better with the modern look of Windows 10. However, the 2019 release also debuts what Symantec terms its "next generation" anti-malware engine, which evaluates and offers protection against threats in real time using the cloud to reduce definition files by up to 80 per cent. Other improvements include intelligent boot-time protection, more aggressive threat detection heuristics and automatic aggressive botnet scanning triggers. Smart data leak protection has been added along with improved Norton Community Watch integration. Browser protection is now delivered without the need for installing browser plug-ins, while protection against socially engineered attacks has also been tightened. The SONAR engine – used to detect brand new threats – has been improved alongside performance tweaks. This version includes a 3-Device, 2-Year licence, which means you can use this across 3 devices for 2 years.